Singer has been in Sri Lanka since 1877, when the first Singer sewing machines went on sale at a Colombo store. Today, Singer (Sri Lanka) PLC. is a large, diversified company with unmatched presence throughout Sri Lanka. 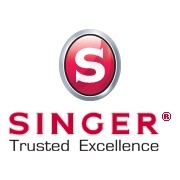 It remains a member of the worldwide franchise of Singer. Beginning with the sewing machine, Singer's product portfolio has diversified to encompass a highly successful multi-brand strategy combining products of top world marques with the company's own products across a range of household, industrial and financial categories.